The Leading Hotels of the World is pleased to announce the addition of eight new members to its collection of over 375 independent, luxury hotels. Of these, six are also new to the hospitality scene in 2017. Spanning the globe from Canada to Spain to Korea, these distinguished properties offer varied styles of architecture and design, and immersive cultural experiences delivered by passionate hoteliers. Le Mount Stephen opened its doors in May 2017, proudly embracing the dynamism of today’s Montréal, while paying homage to the city’s rich heritage. 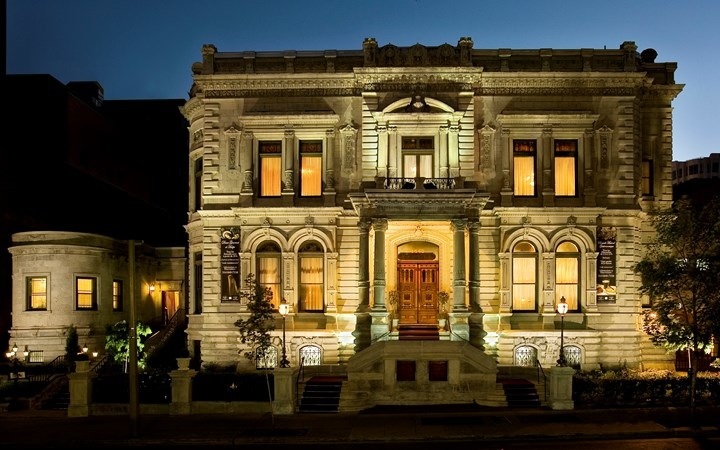 The property isin the Golden Square Mile and the entrance and dining venues are withinthe George Stephen House, a historical monument and mansion built by Lord G. Stephen, the first president of the Canadian Pacific Railway. 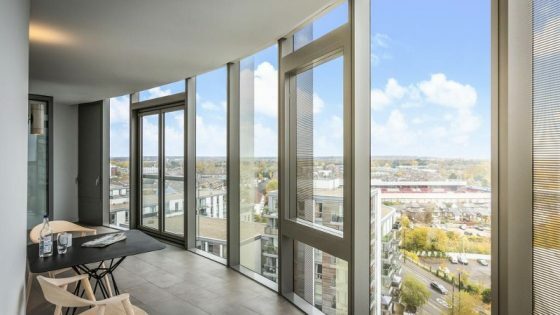 Beyond the entry the present is celebrated in a sleek contemporary tower that houses 90 prestigious rooms and sky-loft suites which all feature floor-to-ceiling windows. The interiors exude timeless elegance, showcasing a unique style and character while offering state-of the-art amenities. 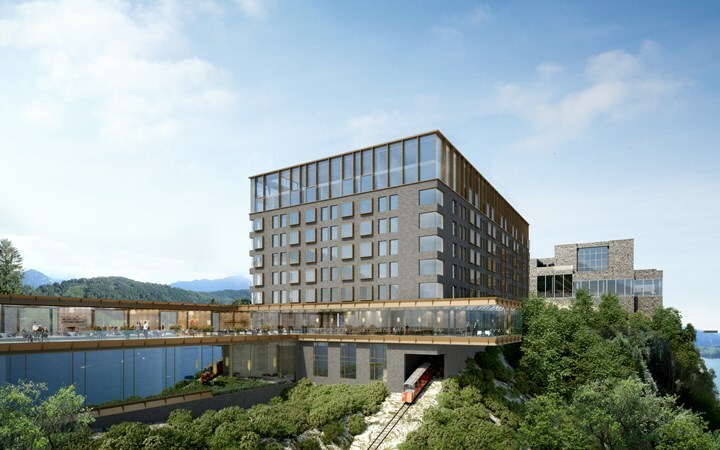 The newly built Bürgenstock Hotel will officially open August 28, 2017, boasting modern architecture, contemporary design and incomparable views over Lake Lucerne and the Alps. The property is part of the legendary Bürgenstock Resort, located in Central Switzerland, 500 meters above Lake Lucerne. Hospitality is a tradition here and famous guests like Audrey Hepburn and Charlie Chaplin have visited since the first Grand Hotel opened in 1873. Explore the expansive grounds, that include a 10,000-square-meter spa, a healthy living center, 12 restaurants, numerous boutiques, and a 9-hole golf course. Opportunities for active recreation also await, with tennis, golf, curling, water sports, hiking and bike trails all nearby. True to its name, Lesante Blu Exclusive Beach Resort is surrounded by spectacular views of the Ionian Sea, offering privacy and peace of mind to the experienced traveler. The property opened in May 2017, with 65 guestrooms all facing the sea. 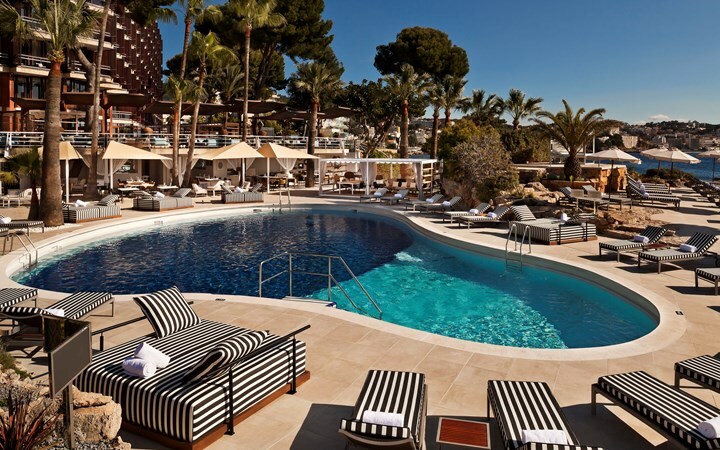 Lesante Blu’s “it’s all about you” mentality is exhibited through its adults-only concept, private pools, state-of-the-art suites and discreet staff. 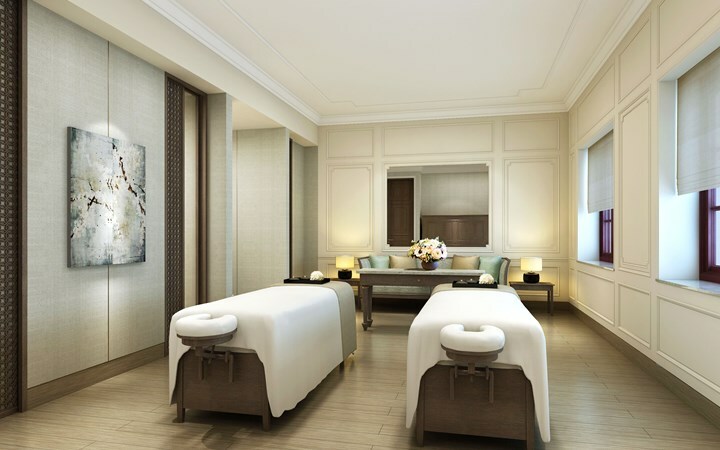 Fine dining restaurants with Mediterranean flavors prepared by the Executive Chef George Plotas enhance the culinary offerings, while complete tranquility and rejuvenating moments can be enjoyed in the Essence Spa with a Germain de Cappucini treatment. For a picturesque arrival and departure, guests can arrange a helicopter transfer directly with Lesante Blu and take in all the sights of the Greek islands. 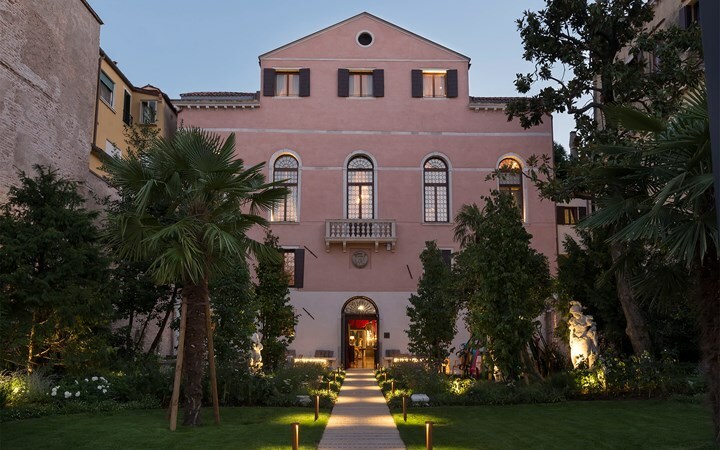 The stunning Palazzo Venart Luxury Hotel began welcoming guests through its 16th-century doors in August 2016, following a nearly 50-year closure of the historical edifice. 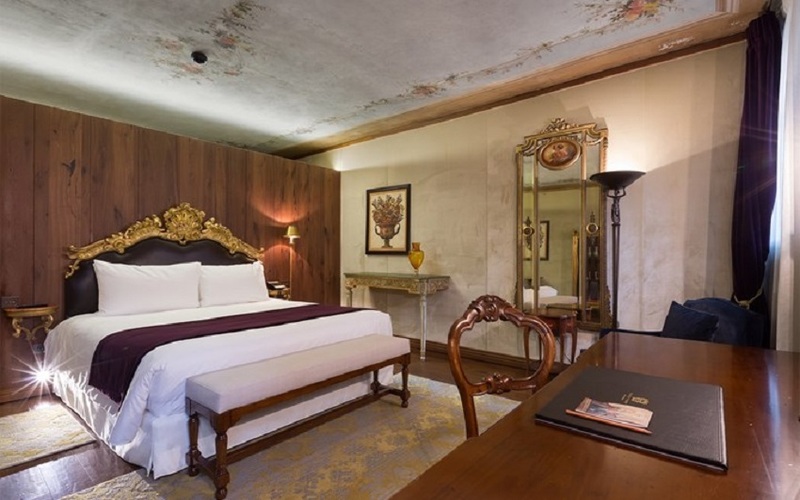 The property is centrally located right on the Grand Canal and each of its 18 fastidiously decorated rooms and suites is based on an aspect of Venetian history and culture. Original features, including Renaissance frescoes and marble fireplaces, have been expertly restored by local specialists and are complemented with antiques and custom furnishings to display the Palazzo’s noble past. Helmed by an award-winning chef, Enrico Bartolini, GLAM Restaurant serves exclusive menus designed by the exceptionally talented culinary artist. Set in its own exclusive cove, Gran Meliá de Mar is surrounded by a magnificent garden of pine trees under the beautiful blue palette of the Mediterranean sky. Unique to Mallorca, Gran Meliá de Mar is an adults-only resort. It is inspired by an indulgent culture of relaxation where exquisite service and contemporary elegance meet. 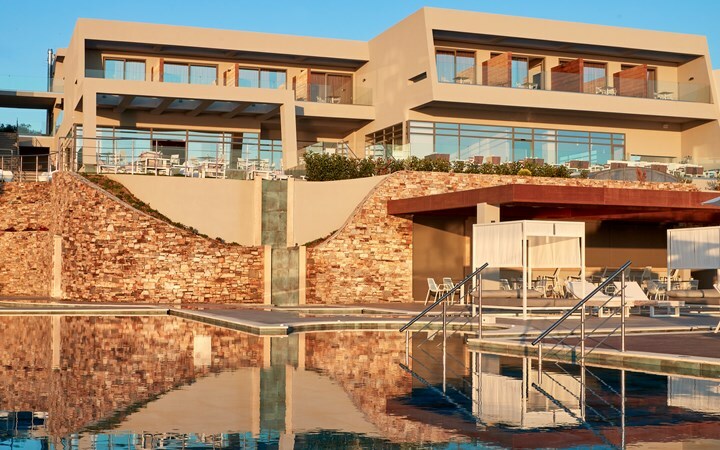 Guests will find spacious rooms and exceptional suites, all with balconies andspectacular views overlooking the sea.Fine dining with surprising Majorcan cuisine is available at four dining venues, and a Luxury Spa by Clarins offers the latest beauty and well-being treatments. Lotte Hotel St. Petersburg is located onSt. Isaac’s Square with an enviable view of the city’s famous cathedral, the Moika River, the Blue Bridge, and in walking distance to the Hermitage Museum, Nevsky Prospect and Mariinsky Theatre. 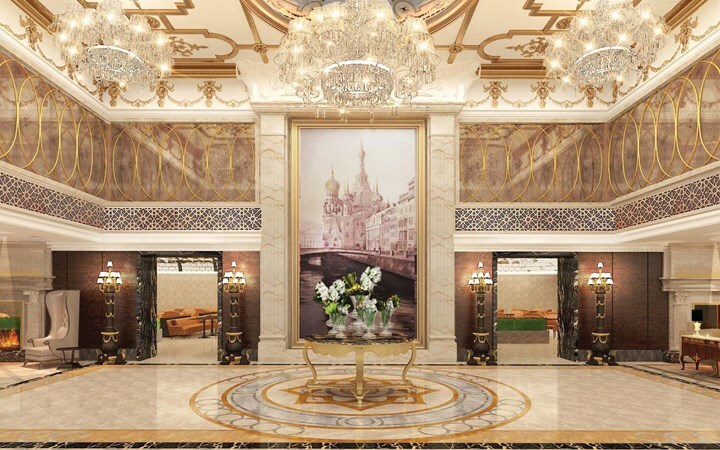 The hotel opened in July 2017 and is a piece of history unto itself, occupying a mansion built for the honorary citizen Mrs. Yakunchikova. The first traces of the building appeared in the beginning of 19th century. John Quincy Adams, the first ambassador of the U.S. to Russia and the sixth President of the U.S., lived in the house from 1810 to 1811. The hotel features 150 classic and modern rooms, including seven suites. It features smart technology, state-of-the-art facilities and haute cuisine. Enjoy a meal at the Lounge restaurant or the premium Japanese MEGUmi restaurant. Two banquet halls and a Balinese Mandara Spa are also on site. Located in the cultural preservation zone of Xuhui District, Capella Shanghai, Jian Ye Li will open in September 2017, following a highly anticipated restoration and conversion project. The compound houses 22 rows of shikumen lanes, connecting more than 200 two-story houses dating back to the 1930s. Set against the glistening skyscrapers of Shanghai, original shikumen houses, which first appeared in the 1860s are a cultural rarity. Sensitively restored for discerning modern travelers, the striking buildings blend traditional Shanghainese and French architectural styles. The hotel portion of the luxury, urban resort consists of 55 three-level villas. The property will also be home to three-Michelin star chef Pierre Gagnaire’s only restaurant in Mainland China, Le Comptoir. 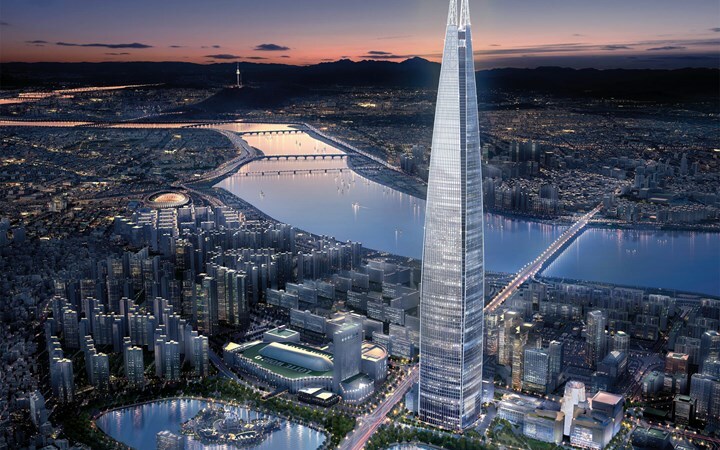 Set in the greater Gangnam area, the Signiel Seoul opened in April 2017 and is located in the landmark Lotte World Tower, the fifth tallest high rise in the world. 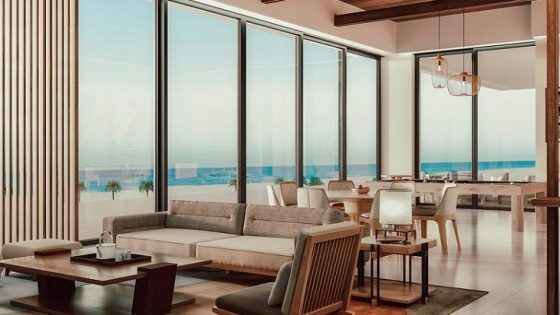 Soaring above the city, all rooms offer mesmerizing skyline views and combine classic and contemporary design, harmoniously blending influences of East and West. Guests can indulge in cuisine created by Michelin-starred chefs or sip on some bubbly at BAR 81 with the largest champagne collection in Korea, both located 342-meters up in the air. An impressive Evian spa, fitness center and a swimming pool are also available for some rest and relaxation after a bustling day in Seoul. reopened in July following a six-month renovation. 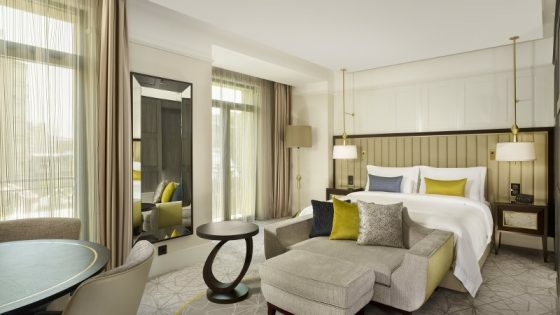 The 81 spacious rooms and suites boast refined materials and delicate fabrics and lighting, reflecting the distinctive signature of interior designer Jacques Garcia. 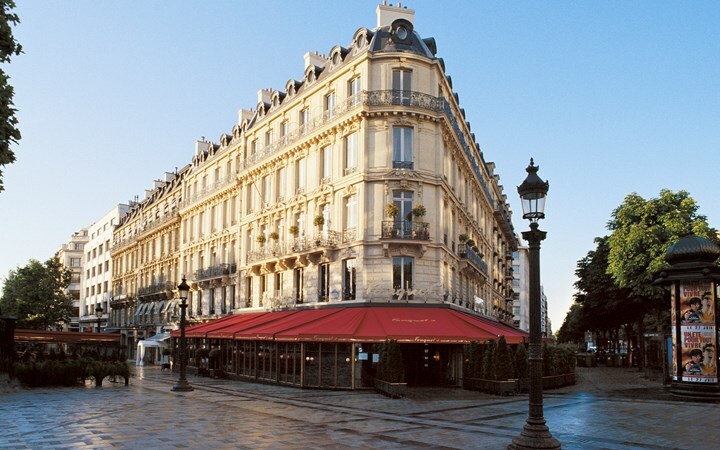 Fouquet’s famed brasserie is also back on center stage on the Avenue des Champs-Elysées, with Chef Pierre Gagnaire reinvigorating bistro cuisine.